With the temperamental British summer showing its true colours, many of us are looking to nip away and enjoy a brief escape to a warmer climate. I will be exploring some of the delights on offer in the South of France for a travel feature next week but it won’t be all work and no play. I fully intend to make the most of the sunshine with some relaxation time by the pool, as well as dipping my toes into the sea. Drinking Green Tea won’t directly lead to weight loss but it has been proven to raise your metabolic rate and thus assist with the process. It is renowned for a number of health benefits with some evidence to suggest it can help prevent heart disease and some types of cancer. Green Tea contains a high concentration of antioxidants and I have found that it significantly aids digestion and also improves your skin. Working out is obviously the golden rule for a good bikini body and vital for burning off excess calories. I find running ideal for cardio work and all you need is a pair of good trainers. It is worth popping into one of the top running shops and having your style analysed so that you can buy the best footwear. Bespoke soles that are moulded to your feet help reduce the impact of running on the roads. Cross country running is less intense on your joints and entering races helps with motivation. I have entered the Bristol Half Marathon later in the year to help keep me on track with long distance training. I run almost every day and have been clocking up nearly 40 miles some weeks. Whilst it helps with staying in shape, I have slightly neglected my muscles since taking a break from Dressage training with my horse, which was ideal for overall toning. To help with this aspect I recently visited personal trainer Ed Stembridge for a concentrated strength and conditioning session. Lunges, squats and a whole assortment of exercises were on the agenda. Needless to say, I could hardly move the next day, which only served to highlight the need for more regular sessions! As a semi-professional rugby player, Ed is great when it comes to training men but he also has an 80% female client base, which is a reflection on his affable and unintimidating demeanour. I am guilty of not drinking enough water, especially when the Department of Health recommends a daily intake of 1.2 litres. However, this doesn’t just have to consist of water. 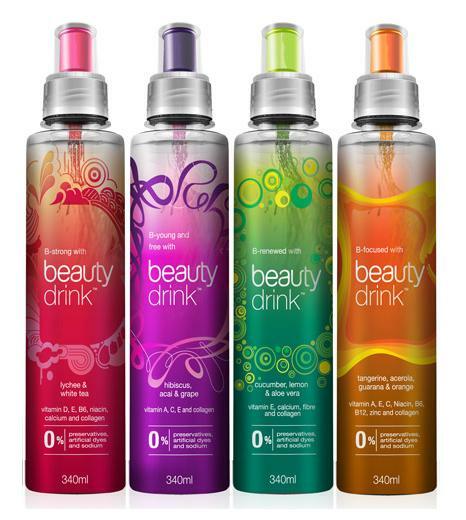 Our Beauty Editor, Halle Carlson, recently reviewed BeautyDrink, a new range of healthy drinks that include added vitamins and minerals. The summer social season often encourages us to consume more alcohol than we should and it also tempts us towards sugary drinks such a Pimm’s or ice-cool larger. Not only is it important to keep a sharp eye on the volume of alcohol consumed but favouring the low calorie options can make a big difference to your diet. Gin and Slimline Tonic or a glass of champagne provide the most modest choices, with the former averaging 56 calories and the latter averaging 90 calories per serving. Whilst reducing your carbohydrate intake can help with shedding some pounds, a better approach is to enjoy a balanced diet that perhaps puts the emphasis on early morning carbohydrate intake. Breakfast is the most important meal of the day as it helps to kick-start your metabolism and also gives you important fuel for the hours ahead. There are various philosophies surrounding the best daily deity approach and some people like to eat small portions regularly. Whilst I am open to trying new routines, I currently stick to three meals a day and try to keep my last meal relatively low in carbohydrates. We all know how the cut of clothes can make you appear smaller or larger and the same goes with bikinis. It is worth investing in a high quality swimsuit as the style and fabric is very important. After two failed online bikini orders, I recently struck gold with a piece from the Beach Bunny range that is available in the UK from Love Poppy. Beach Bunny has a number of collections, including the lace style that was inspired by lingerie and is great around the hips. I always recommend buying one size larger when shopping for bikinis as this helps guarantee a flattering silhouette.